CARO is thrilled to introduce a re-energized website CARO.ca. The website has our a new Online store and a lot of new information on client testing needs. 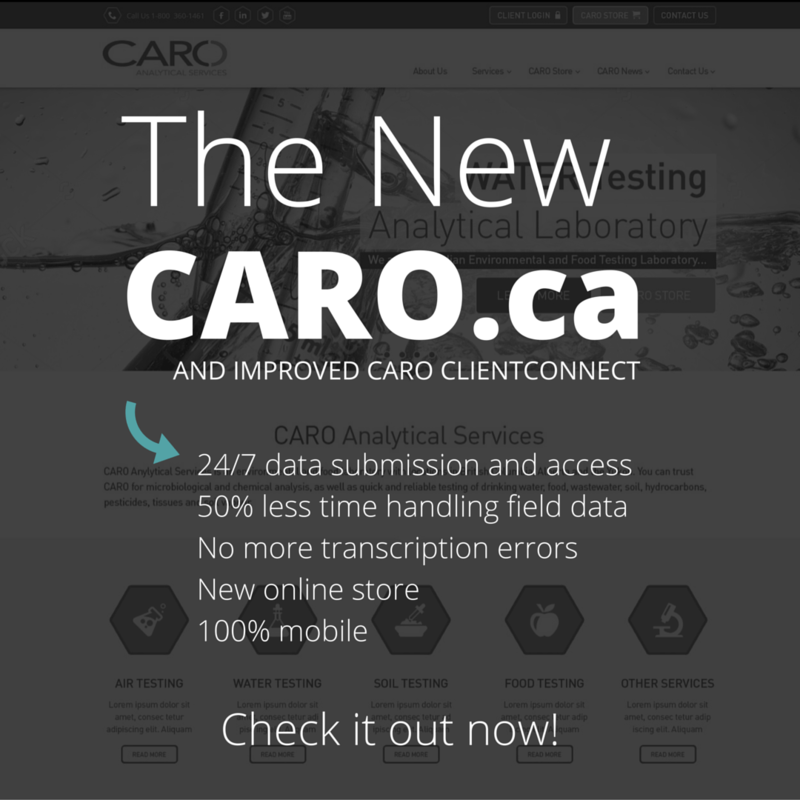 The team at CARO Analytical is thrilled to introduce a re-vamped and re-energized website – CARO.ca. The online companion to CARO’s environmental and food testing services, the new CARO.ca website has been designed with our clients in mind and better reflects our energetic, innovative brand. The website is addressed not only to our loyal CARO clients, who need to find information on new trends in the sector and quickly log-in to view their results, but also to people new to analytical testing who can now easily find their way around thanks to the site’s clear navigation structure. Additionally, the caro.ca blog will continue to serve as a central information source for timely analytical industry updates and company news. 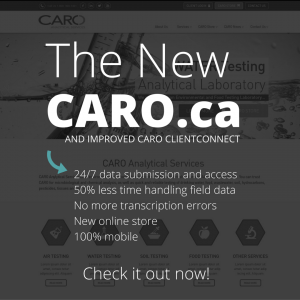 Brand new to CARO.ca is a consumer online store where visitors can purchase sampling supplies and comprehensive testing packages including asbestos, drinking water, soil testing and pesticide scans. Detailed product information will help consumers make educated decisions from the comfort of their computer or mobile device. Other highlights of site enhancements include social features and the ability to gather and showcase client feedback. We hope that the site upgrades will provide a better overall user experience and will enhance CARO’s reputation as Western Canada’s leading innovative environmental and food testing laboratory. We would love to hear what you think of the changes, so drop us a line and let us know!